Backcountry Byways LLC's web address has been changed to www.backcountrybyways.com. The change enables us to better reflect the range of premium, personalized services we've provided to wildland and overland travelers since 1993. The URL previously directed web visitors to our ground-breaking Backcountry Byways guidebook series. Backcountry Byways LLC will remain the preferred provider of GPS-guided but self-directed wildland-routing services for selective overlanding enthusiasts. In addition to our plug-and-play routing, we will continue to accept a limited number of commissions each season for our personalized routing service. 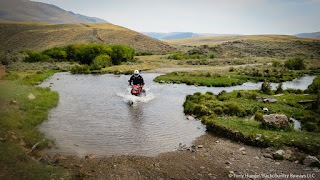 Our services are for individuals and groups who use such transport as dirt-capable dual-sport and adventure-class motorcycles, SUVs, pickup/camper combos and mountain bikes. We're anticipating another great season in 2019. So contact us soon (using the contact form, right) to reserve your slot! And don't miss the chance to follow our travels on Facebook and Instagram.